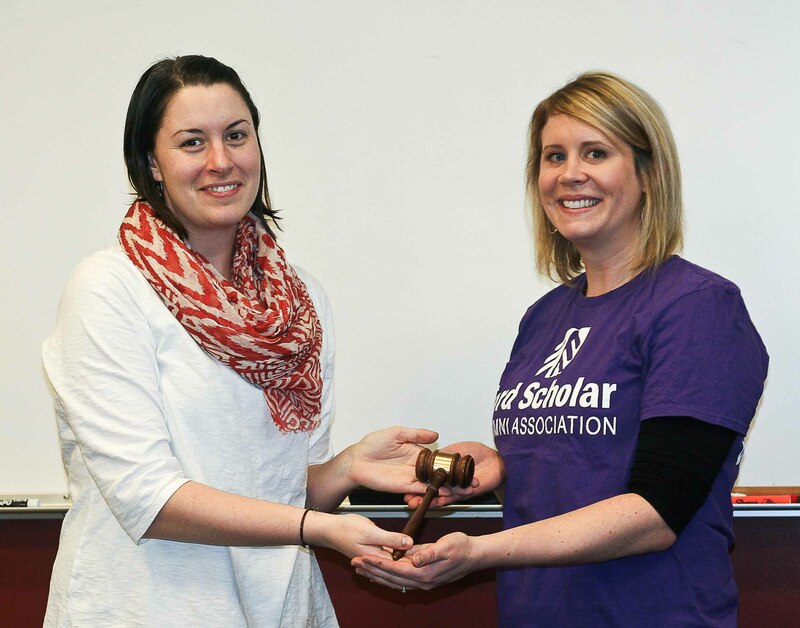 Ford Scholar Alumni Association President Mary Chuinard resigned at the Jan. 9 general meeting as the result of a new job opportunity and personal reasons. She served one two-year term as president, beginning in July 2013. Chuinard ran for re-election a year ago and was part-way through her second term when she decided to step down. FSAA Vice President Kirsten Yamada, Class of 2005, stepped up to finish Chuinard’s term, which ends in July 2017. Q: Why did you decide to fill Mary’s role as president? A: I feel my work as vice president has helped to prepare me to take on the role as FSAA President, and I would like to continue to help improve the development of the FSAA Board of Directors so that we can be functioning at our best for alumni! I see great potential for our alumni association, and it’s because we have such an amazing group of alumni! Each one of us has a story to share about our journey of how we got to where we are today, and these stories are meant to be shared with each other. I became president because I don’t want to see the missed opportunity for alumni to connect with each other and current Ford Scholars! We have so much to learn from each other and to share with our communities. After all, we are Ford Family for life! Q: What is happening to the vice president position during the next few months? A: The vice-president position would have been open this coming board election anyway, so in the meantime, everyone is helping to support each other during this transition. The new vice president will begin a two-year term this June. Q: What do you hope to accomplish as FSAA President? A: First, this year I’m looking forward to bringing back the Board of Director committee groups, such as, the events, communications, development, fundraising and finance committees. These committees provide focus groups for our board members as well as the opportunity for non-board alumni to participate, develop leadership skills, and stay connected with other alumni. Second, I want to collaborate with Bonnie Williams, Manager of Scholar and Alumni Engagement from The Ford Family Foundation Scholarship Office, to provide more leadership, networking and career development opportunities for Ford Alumni. Finally, I want to connect with Ford Opportunity and Ford ReStart Program Alumni who have now joined FSAA. In fact, we are excited to have Ford Opportunity and Ford ReStart Alumni already running for the upcoming FSAA Board elections. Q: On a personal note, what’s your career and family life? A: I love living in Portland! My husband and I recently bought our first home, and we love spending the weekend working on home projects or looking for great deals at liquidation stores. There is so much to see and do in Portland that we never run out of things to do or new places to eat, and that’s very dangerous for me since I work downtown in the Big Pink building with the Portland City Grill on top! I’m currently working for an accounting firm in their marketing department, where I help to coordinate their online educational webinars. I graduated from Portland State University with an international relations degree, so my true passion is traveling and learning about cultures! I’ve traveled to more than 15 countries, and I’m going to add four more to that list this year! My husband and I are currently planning a long-overdue trip to Europe to see France, Germany, Austria and Italy. Feel free to send any tips my way! Q: Is there anything else our members should know? A: Stay connected with us! If that means sharing an interesting article or liking a photo on the Ford Scholar Alumni Association Facebook page, coming to a volunteer community service event, talking with a current Ford Scholar about your experience, sharing your milestones in the Ford Alumni News, or making a tax-deductible donation….big or small… we want to hear from you!